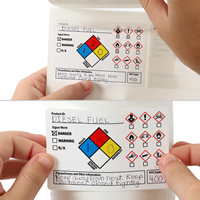 Our GHS Secondary Label helps you to transfer all pertinent chemical information from primary containers to secondary containers, giving you uniformity and accuracy in your chemical safety labeling. 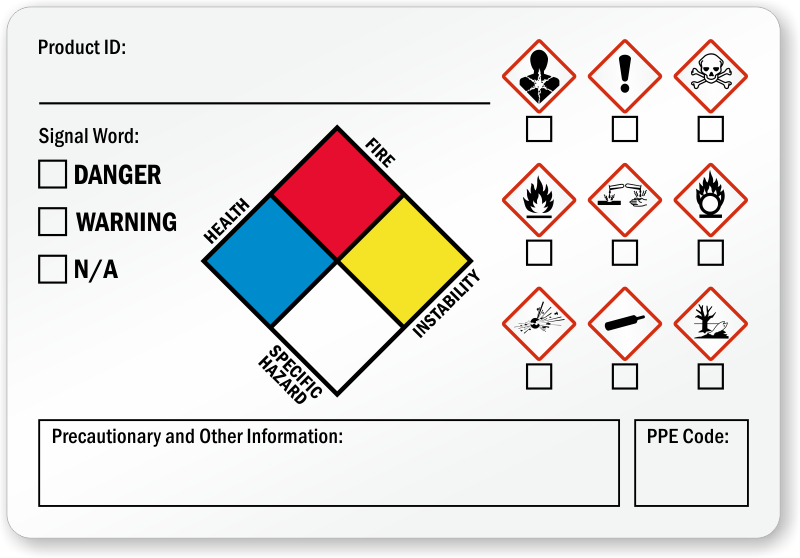 Keep workplace safer for employees while complying with the new Hazard Communication Standard. Easy to use, cost effective very good product. These labels are useful for secondary container labeling in a Storage Facility, as when a bulk container must be dispensed into smaller containers for STORAGE before use. The labels with hazard symbols make for easy recognition for storage (not necessarily for usage, since our users are not trained in translating a PPE Code into separate PPE that must be worn. The one-piece label and laminating sheet are very convenient.